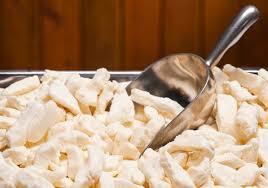 We also have ready to deep fry cheese curds too! The same award winning Iowa curds with a perfect batter. No fuss. No mess. Simply deep fry for 1 - 2 minutes at 350 degrees. Try dipping them in ranch dressing or marinara sauce. These are fantastic!